We have a huge gallery of the Diamond Comics/Previews booth from Toy Fair 2015. They had a little bit of everything, though these have all been previously seen. I’ll break down some of the key items below. It’s been a few months since we’ve seen anything new on the ThreeZero Dead Space 3 Isaac Clarke Figure. Now we finally get a great look at the figure as ThreeZero has posted a full gallery and new info. As expected, the sculpt is incredibly detailed and the figure looks fantastic. 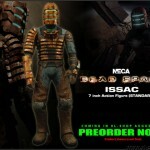 The Dead Space 3 Isaac Clarke 1/6 Scale Figure is scheduled to go on pre-order July 28th at 9AM Hong Kong Time. The 12″ tall figure will sell for $190 shipped from ThreeZero Store. It will include numerous accessories. A ThreeZero Store Exclusive version will include an additional swap out human head. You can check out the photos and more details after the jump. Also on hand at the Thailand Toy Expo were two other upcoming figures from ThreeZero. The images give us our first look at their prototype Dead Space 3 Isaac Clarke figure. 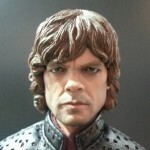 We also get a new look at their upcoming Game of Thrones Tyrion Lannister figure. These are both 1/6 scale figures. No other info was released. You can see the photos by reading on. ThreeZero has shared the news that they have acquired a license to produce figures based on the Dead Space 3 video game. The teaser image gives us a glimpse of their first Isaac Clarke figure. The figure is scheduled to be on display at the Thailand Toy Expo, May 1 -4. We’ll have more as it becomes available. See the teaser image after the jump. We’ve only scraped the surface of what’s on display, so make sure to check out the full gallery of awesome Squar Enix Play Arts Kai Video Game characters for yourself after the break! Our crew at New York Comic-Con 2013 have sent in pics from Kotobukiya’s display. 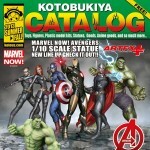 It includes states and items from Marvel, Star Wars, DC Comics, Video Game Characters and more. Read on to check out the catalog. 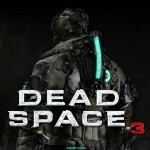 NECA is set to produce figures based on the hit survival horror video game Dead Space by EA. The first figure preview available is Issac, seen in his original and bloody red repaint colors. Discuss on the Toyark Forums› Views: 6769 › Credit: QuantumShock of the Toyark Forums! NECA has revealed their full slate of San Diego Comic-Con 2009 exclusives. The toys range from Teenage Mutant Ninja Turtles, Street Fighter IV, Dead Space, Gears of War 2 and Coraline. Based on the DLC Classic Costume Pack from Street Fighter 4, Guile pays tribute to his war buddy Charlie by donning his classic costume. This figure features over 30 points of articulation, interchangeable hands, and a newly sculpted torso and vest. Isaac comes with LED Lights on the mask and spine, more than 20 points of articulation and the Unitology version of the Cutter weapon (not pictured). He features unique deco to recreate his Unitology Suit from the Dead Space video game. An exclusive version of the Locust, mutated from prolonged exposure to Imulsion. The convention special Lambent Grenadier features a translucent head, torso and upper arms, with all new deco to recreate the Lambent ranks of the Locust and the Gnasher shotgun. NECA proudly presents this special edition April O’Neil action figure, based on the original Teenage Mutant Ninja Turtles comics created by Peter Laird and Kevin Eastman. April is fully poseable and comes with two menacing Mouser villains with articulated jaws. Celebrate 25 years of TMNT with this exclusive set. This special edition figure of Coraline from Henry Selick and Neil Gaiman’s hit stop motion film features a brand new outfit and facial expression not available anywhere else. Coraline also sports a fully poseable bendable doll body and articulation at the neck, wrists and boots, and comes with a doll stand for display. Note: In light of the economic situation and in gratitude to collectors and fans, NECA is proud to announce that for the sixth consecutive year the prices for our Exclusives will remain the same at the low price of $20 each. Due to the increased costs of freight and storage at the convention site itself, we’re bringing in smaller edition sizes on all of our exclusives. For those unable to attend the San Diego Comic Con, we will be offering limited quantities online through the NECA store on Amazon.com. Watch for more details closer to the event. You can see photos of all of the NECA exclusive by clicking the headline of the story.